Island Pond, Washington NH. Lake home for sale. 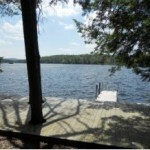 4 bedroom lakefront home with a private location. 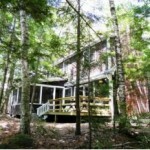 Lovely over-sized 4 bedroom 2 bathroom cape lakefront home on 192 acre Island Pond, huge screen porch to enjoy the view! 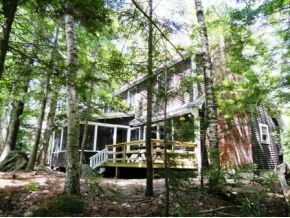 Enjoy this home nestled on a private wooded .76 acre double lot, plenty of room for extended family, open concept kitchen/living rooms, fireplace, paths to the waterfront with private beach & dock area. Washington NH is located about 40 minutes from Concord and Keene NH, a great location for those commuting from Connecticut or Massachusetts Great area for snowmobiling and only 30 minutes to Sunapee Ski area. Listed by RE/MAX Omega Group. 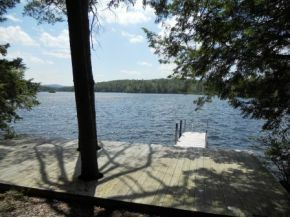 For additional information on this home call Lady of the Lake Realty at 1-888-737-5550 or e-mail at info@nhlakesrealty.com or visit our website to view similar lake homes in New Hampshire at www.nhlakesrealty.com Contact us today to see if this home is still available? ?